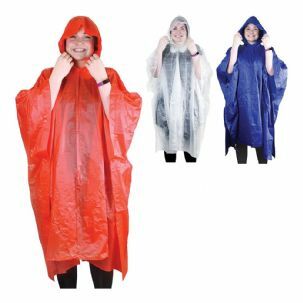 eBuyGB reusable poncho with a matching storage pouch to keep it safely packed when you're travelling. This poncho is for a rainy day, keep it close by for emergency when rain starts and let this vibrant waterproof poncho keep you dry, then when the day is done pack it away in its matching bag to use it again. 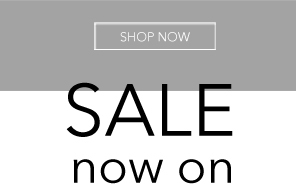 It comes in three assorted colours, Red, blue and clear and is made of durable plc. Plastic. Poncho is simple and easy to use, just simply take it out of the bag, open it up and pull it over your head, the sides can be closed by connecting the snap buttons along the seams to give you a sleeve effect. There is a hood attached to this rain cape to keep your hair/head dry making it the ideal accessory for any outdoor event. It is for events like camping, theme parks, fishing, festivals, hiking, weddings and can even be used for emergency rain on holidays. Stay dry throughout the seasons while looking fashionable with this versatile outerwear. 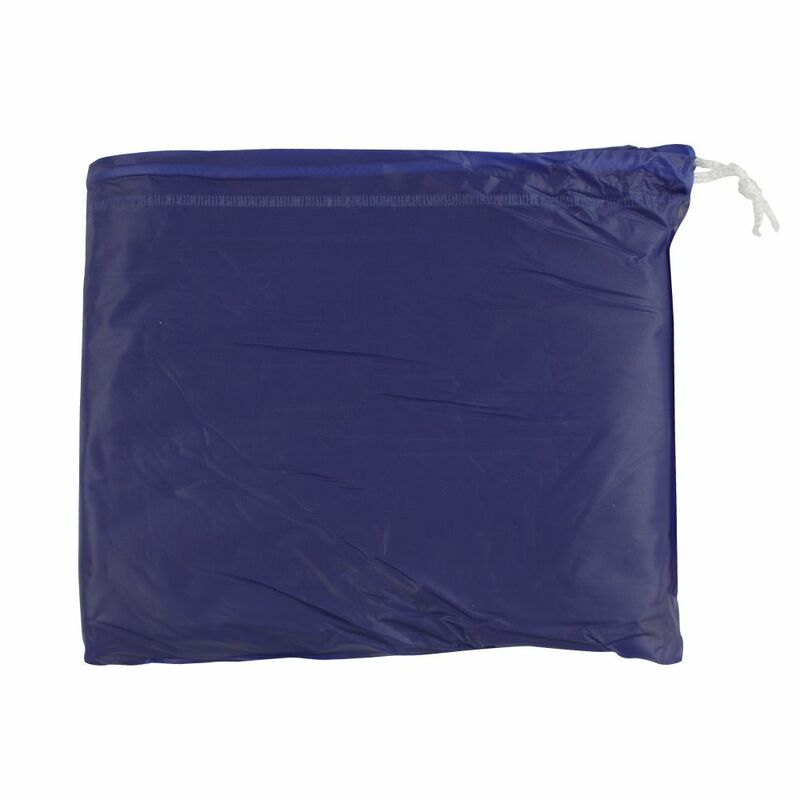 Matching bag for poncho storage has a drawstring closure at the top to keep your poncho securely inside. Bagged poncho dimensions: 19 x 18 x 2 cm. 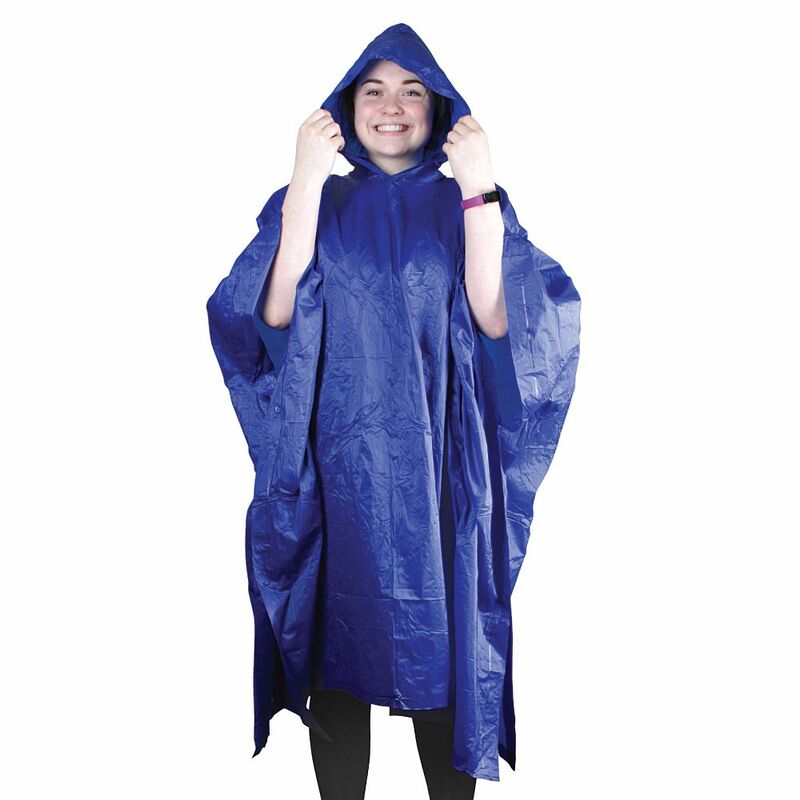 Open poncho dimensions: 131 x 103 x 1 cm. Hood dimensions: 36 x 22 x 1 cm.